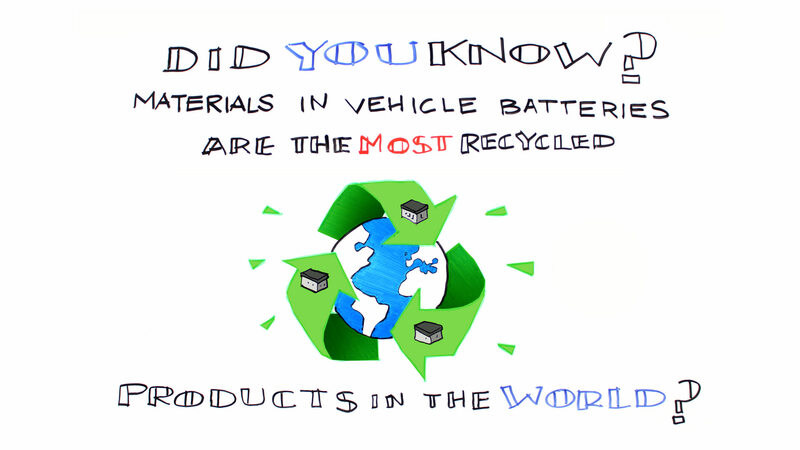 Up to 99% of your car battery is recyclable and can be used to make new batteries and other products. 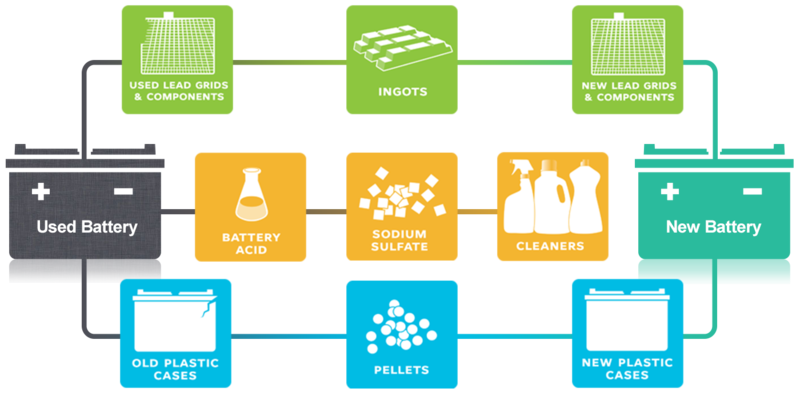 The battery components are processed to produce new lead grids and plastic containers for vehicle batteries and used in other products such as cleaners. The recycling cycle goes on indefinitely. The lead and plastic in your vehicle battery has been and will continue to be recycled many, many times. The best way to use an old battery is to turn it into a new one! Learn more about how Johnson Controls has been recycling vehicle batteries for more than 100 years. What Else Can Be Recycled? To transport a used vehicle battery, set it in a cardboard box that is layered with newspaper in case the battery leaks. Make sure the battery stays upright and doesn’t tip. You should also wear gloves for extra protection! Lead-acid vehicle batteries are the most recycled consumer product in the U.S. at 97% – more than aluminum cans, paper or glass. The lead used in the vehicle batteries can be recycled over and over again. And all of this can be recycled!